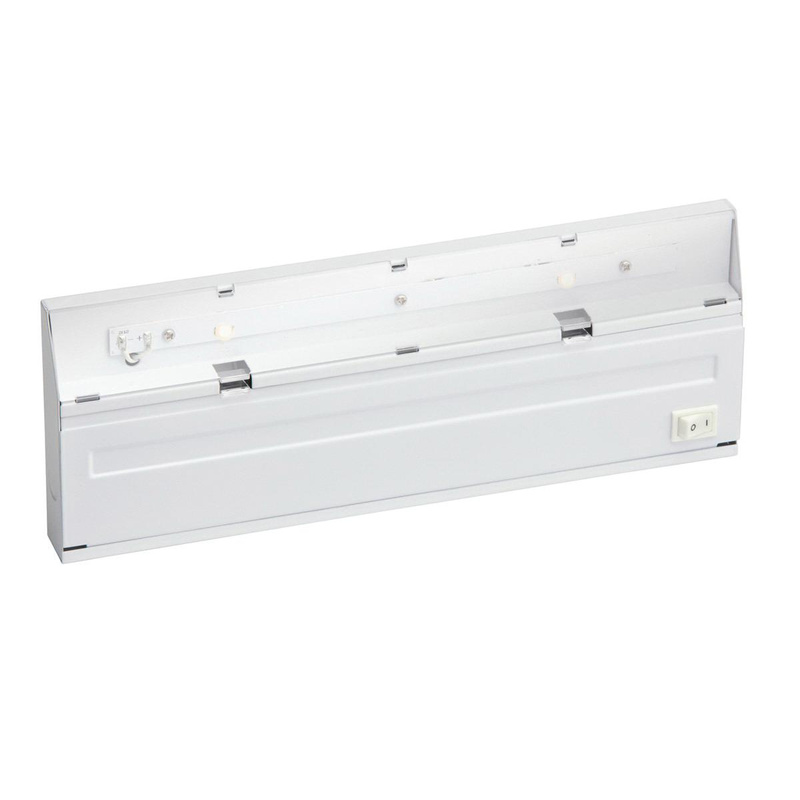 Kichler Direct Wire LED Collection Undercabinet fixture in white finish, features high-strength steel construction. This eclectic fixture employs two 6.4-Watt integrated LED lamps that feature average life of 40000 hours. Dimmable lamp has color rendering index of 75 and color temperature of 3000K. Lamp has voltage rating of 120-Volts. It measures 12-Inch x 4.5-Inch x 1-Inch. Back mountable undercabinet fixture has multiple knockouts for trouble-free, easy installation. It features hinged assembly with keyhole mounting. It comes with NM/BX single cable connector. Undercabinet fixture is cUL listed.